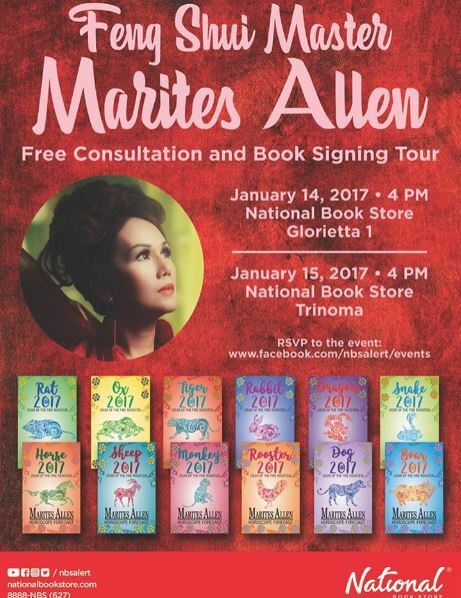 Year of the Fire Rooster 2017: Feng shui Master Marites Allen horoscope forecast books, book signing and free consultation this January! 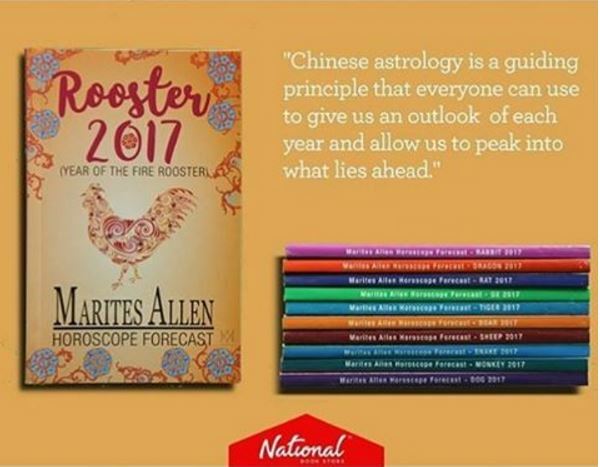 Everything and the most important things you need to know in the Year of the Fire Rooster Horoscope Forecasts by Ms. Marites Allen is now available at National Bookstore branches for only P399. Free consultation ad Book Signing Tour on on Jan 14 National Bookstore Glorietta 1 & Jan 15 National Bookstore Trinoma!